Summary: It’s time for us to look again at what God’s views are on the subject of divorce. We need to do something to break the cycle of divorce in our churches. I remember back when I was in school at Abilene Christian University, a friend of mine went to interview with a church in South Carolina. Before he went, the congregation sent him a message: “Preach about whatever you want… except tobacco.” Now while I would like to think that there was a godly motive behind this, my fear is that these people just didn’t want to hear a lesson that would make them squirm. If they were convinced about the rightness of what they were doing, why would they not want to hear a lesson about it? I’m thankful that hasn’t happened here. I feel an absolute liberty to preach the Word as long as what I preach is the Word of God. As long as I speak the truth in love. Today we’ll make a stop in our journey through the book of Luke. I want to touch on a topic that is mentioned in Luke 16:18, even though Luke’s gospel doesn’t devote much time to this topic. Yet I think that it merits a look. We’re going to look at what happens when two people become one… and then become two again. Putting this verse back in its context, we’ll see that Jesus was speaking to the Pharisees about their disrespect for God’s law. In this case, they were doing so by not respecting God’s teaching on divorce. The two opposing views on this passage came from two rabbis: Rabbi Hillel and Rabbi Shammai. Rabbi Hillel said a man could give his wife a "certificate of divorce" if she “displeased” him, be it for burning the food or nagging too much. One rabbi taught that a man had grounds for divorce if he “found a woman fairer than she.” Rabbi Shammai believed that a man could divorce his wife only if she had been unfaithful to him; that is, "something indecent" referred to adultery. Now if you’ve studied this before, you probably remember that Jesus, as recorded in the gospel of Matthew, twice taught in agreement with Rabbi Shammai, teaching that adultery is grounds for a divorce. My feeling, however, is that we’ve spent way too much time looking at that exception. If you had lived in the first century and had received the gospel of Luke, you probably wouldn’t even know about this “escape clause.” We’ve spent way too much time talking about when you can and why you can and not enough time talking about God’s point of view! Isn’t that why the divorce rate in the church rivals that of the world? Mal. 2:13 Another thing you do: You flood the LORD’s altar with tears. You weep and wail because he no longer pays attention to your offerings or accepts them with pleasure from your hands. 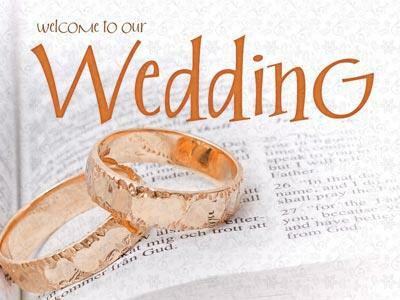 14 You ask, “Why?” It is because the LORD is acting as the witness between you and the wife of your youth, because you have broken faith with her, though she is your partner, the wife of your marriage covenant. Mal. 2:15 Has not [the LORD] made them one? In flesh and spirit they are his. And why one? Because he was seeking godly offspring. So guard yourself in your spirit, and do not break faith with the wife of your youth. Mal. 2:16 “I hate divorce,” says the LORD God of Israel, “and I hate a man’s covering himself with violence as well as with his garment,” says the LORD Almighty. 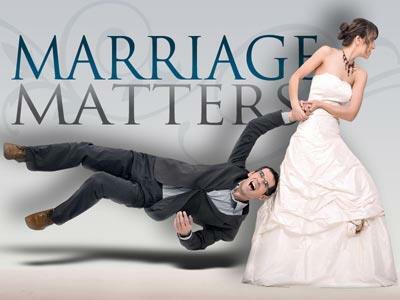 I want you to take this away this morning: God hates divorce. God hates divorce. And as children of God, as imitators of Christ, we should hate it as much as he does. Please don’t tune me out yet nor get upset at what I’ve said. Fortunately, I don’t know any of the stories behind the divorces that have occurred in this congregation. I may know bits and pieces here and there, but I don’t have the details on any of them. I will not stand in judgment on anyone here that has gotten a divorce. And I have a special message for you: God hates divorce, but he loves divorced people. And as a child of God, as an imitator of Christ, I should love you too. 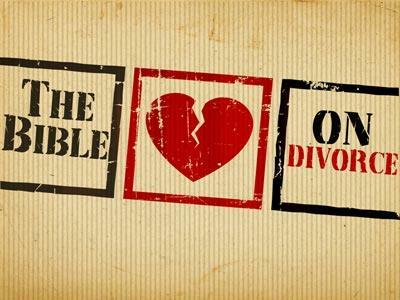 It’s time for us to look again at what God’s views are on the subject of divorce. We need to do something to break the cycle of divorce in our churches.